The latest poster for sci-fi disaster film The Wandering Earth. I’m 100% there for all the Alice in Wonderland themed photo shoots. This latest one of Gulnazar / Nazha by Chen Man is more Hot Topic than the one with Sun Yi, and I think I may like it more. The cover is stunning, but Chen Man photoshopped her to look like Angelababy. Liu Haoran rocking those construction worker + emergency vest colors. Liu Haoran, Wu Lei, Li Yuchun, Cai Xukun, Yang Mi, Tong Liya, Han Geng, Kim Jaejoong, Zhai Tianlin, Yin Zheng, Gulnazar, Jing Boran, Zhou Dongyu, Xiao Zhan, Li Qin, Wei Daxun Dong Li,etc. pose as if they were at a press conference for a Cosmo event. The photoshoot is probably one of the more interesting “event photoshoots” lately, although they didn’t even bother to change the color palette when they ripped off of a Ni Ni Gucci ad. 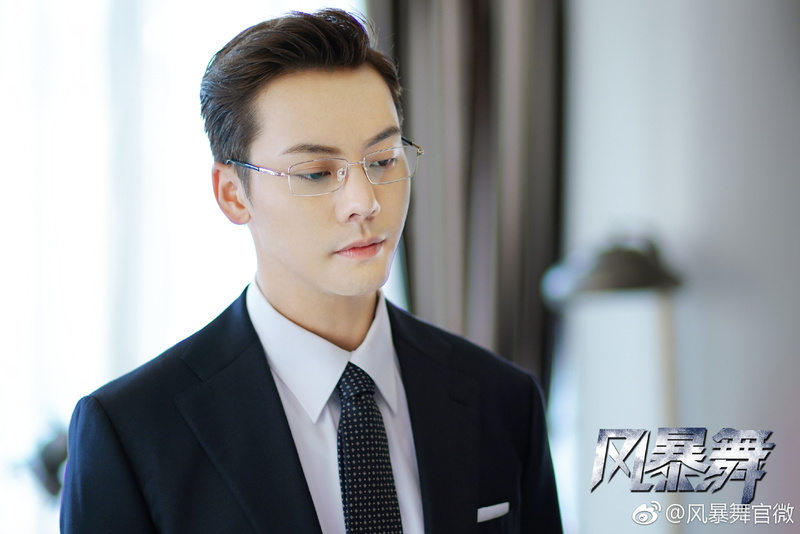 Upcoming action thriller The Storm 风暴舞 (previously Dancing in the Storm) has finished filming, and released a wrap-up video and stills featuring leads William Chan (Age of Legends) and Nazha (Fighter of the Destiny). The opening credits for Return the World to You 归还世界给你 is quite gorgeous in every way. Jane Zhang ‘s theme song is probably one of her most contemporary theme recently, while the cinematography makes it look more like a beautifully executed MV. 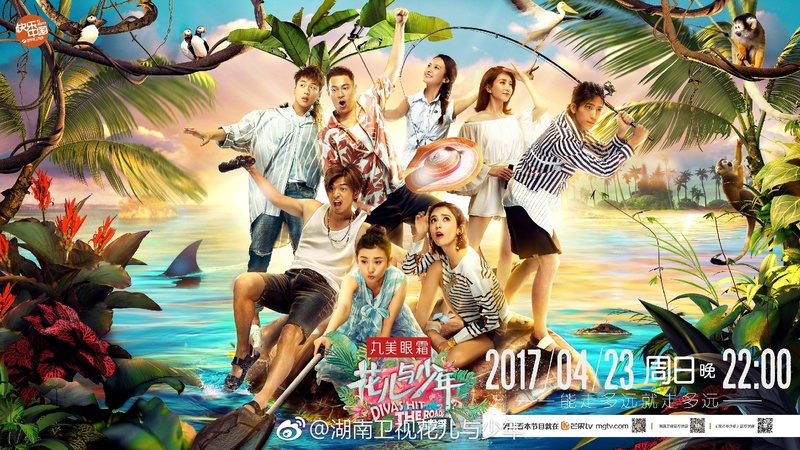 The series stars Yang Shuo, Gulnazar, Xu Zhengxi, and Wang Dong. 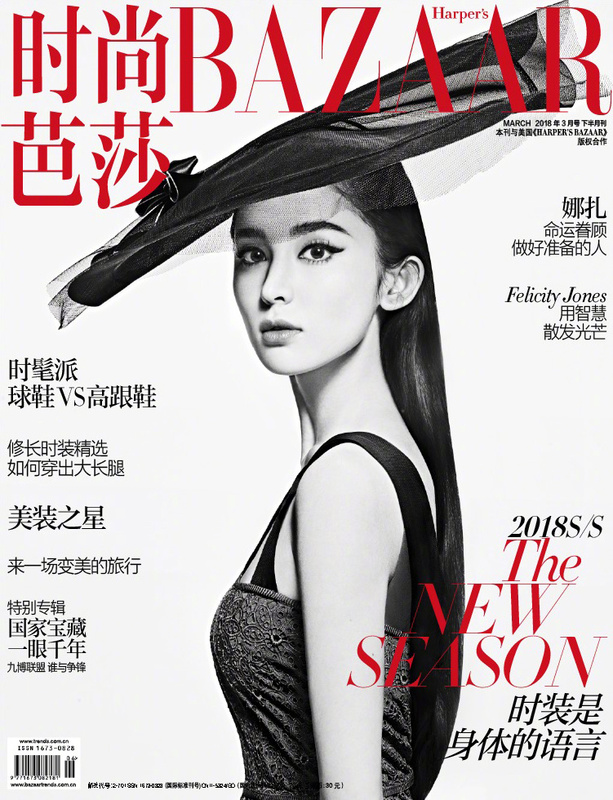 Nazha is on the cover of the Harper Bazaar’s March edition, and she still looks fabulous even though the editor has run wild with the Photoshop. Photos by Yu Cong. Nazha is currently filming Ten Years Late with Shawn Dou. Actress Gulnazar is the Snow Queen in this photoshoot for Bazaar Jewelry. 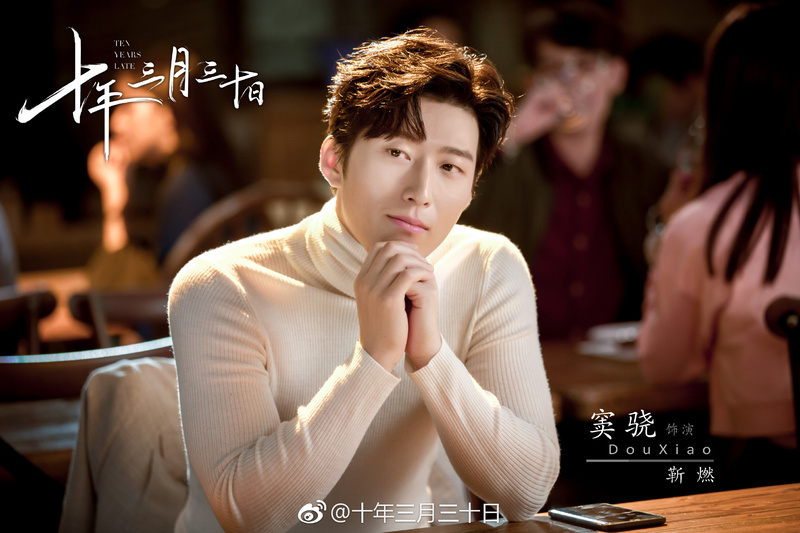 Shawn Dou (Tribes and Empires) is reuniting with the director of See You Again in upcoming romance drama Ten Years Late 十年三月三十日, a loose adaption of Fumi Saimon’s manga series Asunaro Hakusho. Nazha (Fighter of the Destiny) has joined the cast as the female lead. The live-action film of Dynasty Warriors 真•三国无双 will be filming in New Zealand mid-November. They’re looking for about 100 men as extras around Queenstown or Christchurch. Compensation is about 200 NZD per day . Interested parties should e-mail photos and CV to kim@kamtalent.com . The film is directed by Roy Chow and stars Wang Kai as Cao Cao, Louis Koo as Lü Bu, Gulnazar as Diaochan, Han Geng as Guan Yu, as well as Carina Lau, Tony Yang, etc. in unannounced roles.